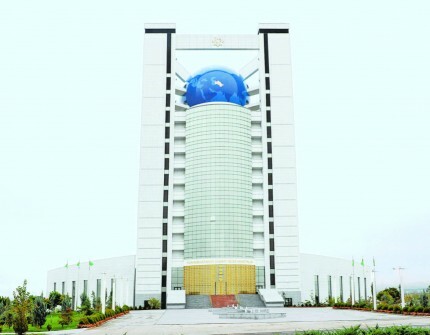 On March 21, 2018, the Turkmenistan State Border Services prevented an illicit trafficking attempt of large consignment of narcotic drugs on board of a vessel in the territorial waters clearly violating the state border of Turkmenistan, 3-4 km from the coastline, by a group of citizens of the Islamic Republic of Iran. The incident fell into the limelight after the unsubstantiated reports in the Iranian and some other countries’ media. In the process of interception by the Border Patrol Unit, the smugglers disobeyed clear orders to submit and attempted to create nuance thus unwarrantedly threatening the safety and life of the Turkmen Border Guards. Currently, both the parties within the framework of the existing bilateral Flag Meetings Mechanism are undertaking procedural actions to defuse the incident. The Turkmen side while expressing its concerns has the honour underline that any attempts to politicize this incident whomsoever it may come from, will consider them as unfriendly actions towards Turkmenistan and they immediately will be refuted by the Turkmen Side.